Over the years, I’ve witnessed many great programs The Salvation Army offers. But recently, I experienced an exciting new project that I’ve been wanting to tell everyone about! 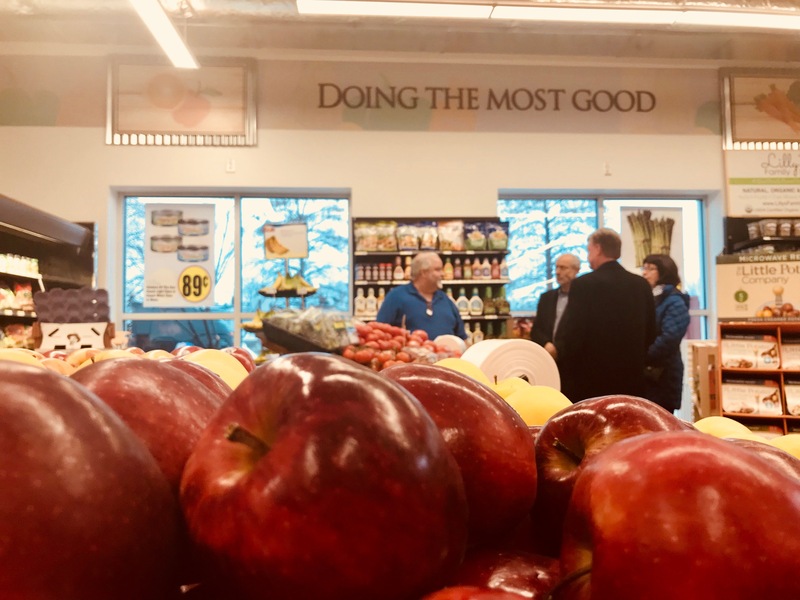 The Central Maryland Area Command, part of the Maryland/West Virginia Division, opened DMG Foods, a nonprofit grocery store in northeast Baltimore. DMG stands for “Doing the Most Good,” The Salvation Army’s motto. The surrounding neighborhood is considered a food desert, and this store is within walking distance for many local residents. 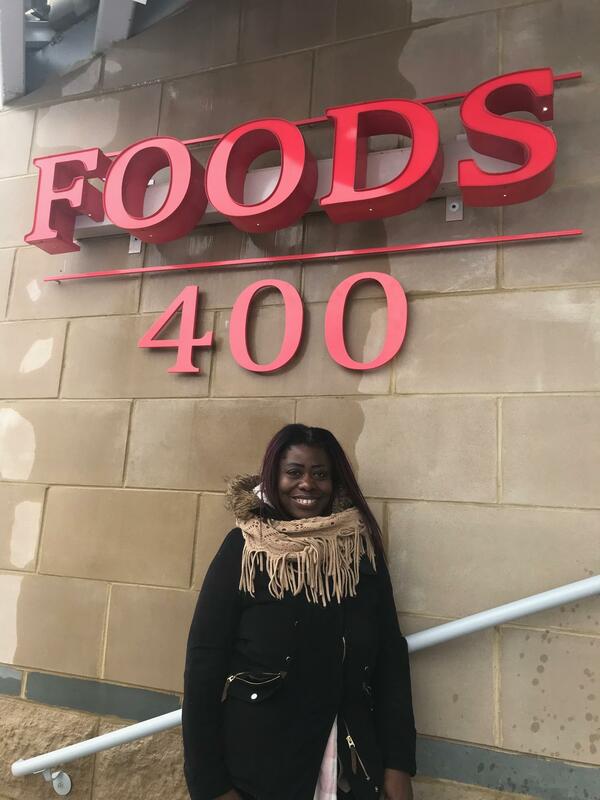 In addition to offering healthy and affordable food choices, DMG Foods will also have nutrition and cooking classes, meal-planning services, and a workforce development program. This five-week training program is designed to provide hands-on food retail experience and assist with job placement. They have also partnered with the Maryland Food Bank to provide additional food assistance and cooking demonstrations. Major Gene Hogg, General Secretary of the Maryland/West Virginia Division and Area Commander for Central Maryland, was kind enough to give us a tour. I found myself smiling around each corner, feeling truly excited for this community. It had everything a larger grocery story would — a butcher shop, bakery, and deli counter — in addition to regular staple items. While we were waiting for the official grand opening, I started talking with Jennifer, a local resident who anticipated shopping at the new store. Jennifer lives across the street and wanted to be the first in line when the doors finally opened. “This store will be helpful to a lot of people who don’t have transportation,” she said. “It’s awesome and well needed.” She was so lovely, and I was happy for her and this community. You could feel a buzz of excitement when other residents started to form a crowd. I suspect this store will be life-changing for so many. 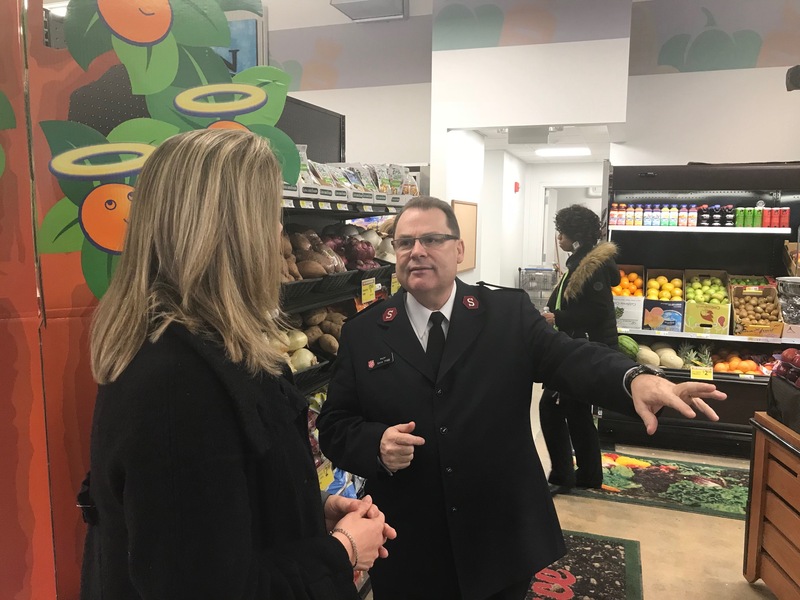 The Salvation Army has always provided for those in need, and this first-of-its-kind grocery store is no exception. We wish DMG Foods an abundance of success, and hope this innovated program catches on across the county.